Fully funded by St. Lawrence Economic Development Council (SODES) member organizations, the marine industry promotional campaign Brought to you by ship – My river, my provider! is a three-year venture launched in October 2014 to make Quebeckers aware of the important role the marine industry plays in our daily lives. Cars, bicycles, cell phones, bottles of wine…the majority of the products around us are delivered via maritime transport. The promotional campaign Brought to you by ship – My river, my provider! reminds the general public of this often little-known fact. The campaign was developed following a survey on Quebeckers’ perception of the marine industry, conducted in November 2013 by the firm Léger, mandated by SODES. The survey results showed that Quebeckers know very little about the marine industry, although 83% consider it a sector of importance for the Québec economy without knowing exactly how maritime activity affects their everyday lives. Following Phase 1 of the promotional campaign, SODES mandated the firm Léger to conduct another survey to assess changes in Quebeckers’ perception of the marine industry and measure the repercussions of the campaign Brought to you by ship – my river, my provider!. The survey results showed that Quebeckers now know more about the marine industry and have a more positive perception of it. Consequently, SODES and its members wish to continue their efforts and have planned campaign Phase 2. To promote members’ participation and encourage their commitment, SODES has prepared the Phase 2 communications plan in collaboration with communications professionals working within our member organizations. Phase 2 will run three years, from 2017 to 2019. 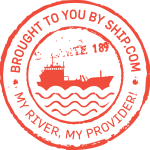 As a SODES member or partner, you are strongly encouraged to join the campaign Brought to you by ship – My river, my provider! by using and disseminating the communications tools developed to date. By participating in the promotional campaign this way, the marine industry as a whole will benefit from greater visibility. In fact, relaying a common message in SODES member organizations’ respective networks on an ongoing basis will make it possible to increase the impact of Brought to you by ship – My river, my provider!. We therefore invite you to read the Brought to you by ship toolkit. 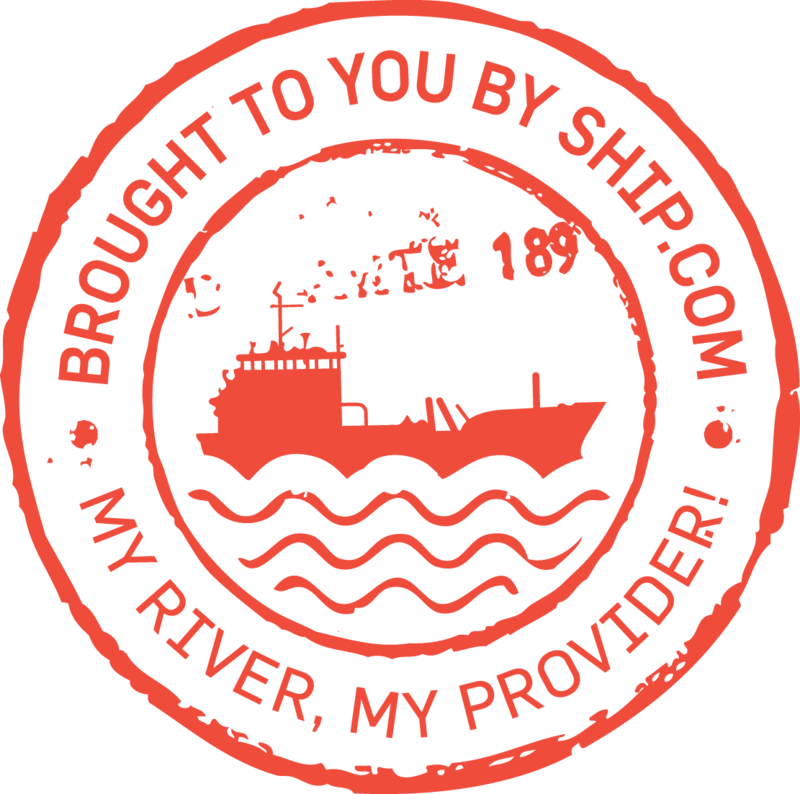 This document presents the main web-based and print communications tools of the Brought to you by ship – My river, my provider! promotional campaign and gives examples of their use. La campagne Livré par navire – Merci mon fleuve! a remporté en 2016 le Prix Coup de cœur du jury d’honneur. 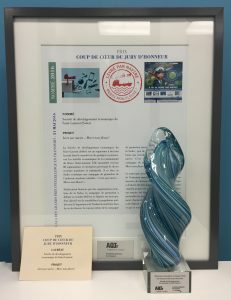 On May 31, 2016, SODES won the “Coup de cœur du jury d’honneur” (jury’s choice) award at the Association québécoise des transports (AQTr) “Grands prix d’excellence en transport” gala and was a finalist in the “Communication grand public” (communications – general public) award category for its promotional campaign Brought to you by ship – my river, my provider!. The promotional campaign Brought to you by ship – my river, my provider! won the 2016 “Coup de cœur du jury d’honneur” (jury’s choice) award. For some 20 years now, the AQTr has been presenting awards to recognize and reward excellence in transport-related projects in order to support outstanding initiatives and encourage the industry to draw inspiration from them. The “Coup de cœur du jury d’honneur” (jury’s choice) award recognizes a unique, innovative project, from any category, that impressed the honorary jury.